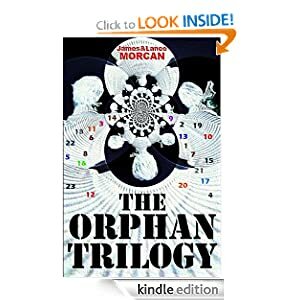 Our thriller series The Orphan Trilogy dominates three of the top five most popular conspiracy fiction books listed in Goodreads.com’s favorite Intrigue Book Lists – alongside Dan Brown’s The Da Vinci Code and Angels & Demons. The Orphan Trilogy 3-in-1 box set comes in at #3 on the list while The Ninth Orphan and The Orphan Factory come in at #4 and #5 respectively. The Ninth Orphan occupies the #2 spot in the Best Technothrillers Ever category. It goes one better to finish at #1 in the Tight Plot Novels category. The Orphan Uprising, book three in the trilogy, tops the best Action-Adventure Novels category. Our historical adventure-romance, Fiji: A Novel, comes in at #3 on that list (above). The Orphan Uprising is also #2 in the Most Violent Action Novels category (below). (The above listings are current as at 29 August, 2013. They change daily).